You won’t find better Conor McGregor vs Khabib Nurmagomedov round betting odds than the ones at William Hill anywhere before the start of the fight,* so we’re turning their records upside down in a bid for clues as to how deep their UFC 229 showdown will go. UFC Lightweight Champion Nurmagomedov is the 8/13 bout betting favourite for the clash at the T-Mobile Arena in Paradise, Nevada, with the promotion’s former lightweight and featherweight boss McGregor 11/8 underdog. If longer odds are your thing, then the McGregor vs Khabib round betting odds might be the market for you and their career trends are below to give you a steer. It’s widely known that, although the Eagle only won his UFC strap last time out, he’s yet to taste defeat in a 26-fight MMA career, including 10 under the auspices of Dana White’s organization. Trends for how he’ll lose are non-existent then and unifying characteristics of his wins over the course of his career as a whole are inconclusive, with eight (31%) coming by knockout, as many by submission and 10 (38%) by decision. Since his UFC debut, the man from Dagestan has given the judges cause for consideration with six of his 10 bouts resolved on the scorecards, alongside two KOs and as many tap-out victories. Khabib on points, unsurprisingly, is the 7/2 is the round-betting-odds favourite and, with points wins in his last two bouts and five of his last seven, few would say backers have a bad bet on their hands (so long as they got the best price anywhere at William Hill). Universally, with the possible exception of a self-assured young lad named McGregor, the reigning champion is considered the better wrestler and gaining a submission might be his key to ending this one inside the distance. The Eagle has submitted two UFC foes to date, Kamal Shalorus and Michael Johnson, with both men crying enough in the third. The McGregor vs Khabib round betting odds make a repeat performance a 9/1 shot. Click here for your essential briefing ahead of the weigh-in on Friday. Khabib has won all 26 of his professional MMA fights. The three defeats the Notorious has suffered in his MMA career to date have all come by submission. His most recent, to Nate Diaz three fights back, is easily the most pertinent, with the others suffered within the first six outings of his 24-bout pro CV. Diaz locked in the rear-naked choke in the second round of that encounter and it’s 7/1 that Conor exits in the second five minutes in Paradise. McGregor’s power and punch timing are revered in the Octagon, has proven too much for all bar two of his 10 UFC foes to date. All seven of those stoppage wins came in either rounds one or two. The slight majority (four) of them came in the first, the 5/1 McGregor vs Khabib round betting odds favourite so far as a win for the Irishman is concerned, but three of his last four victories by such a method came in the second, a 17/2 shout against Nurmagomedov. Although the reigning champion has never tasted MMA defeat, he was rocked by Johnson in the opening stanza of their clash on the Eddie Alvarez vs Conor McGregor undercard at UFC 205, further hinting that if McGregor is to stop Khabib, it’ll be early. Check out our predictions for the McGregor vs Khabib bout. Some will point to the Notorious’ recent UFC inactivity as the decisive factor in this dust-up, with the Dubliner last stepping inside the Octagon in November 2016. 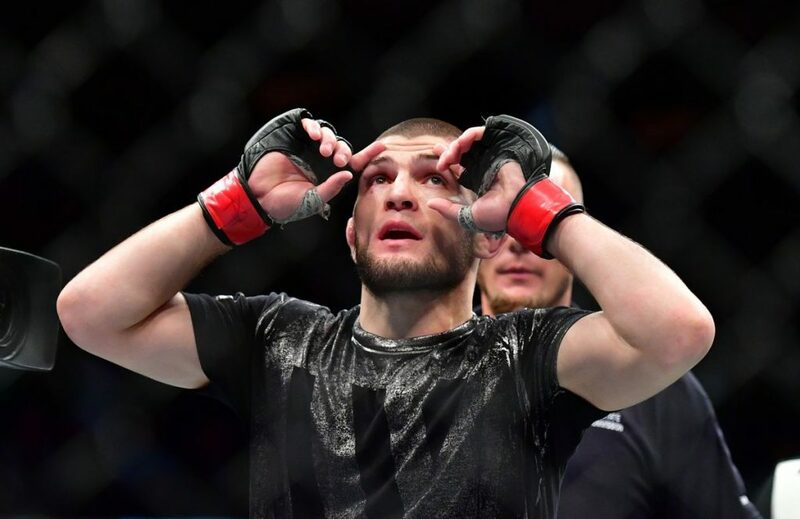 Nurmagomedov has only fought twice since then himself though, while McGregor was involved in his farcical boxing match with Floyd Mayweather Jr in August 2017. If McGregor is indeed MMA-rusty, then this will only contribute further to the possibility of the bout ending early, with the second or third rounds seeming the most likely segments. The Eagle has yet to be stopped in a longer career than the Dubliner’s and, as a result, he’s taken to avoid his opponent’s early bombs and beat him in three, by submission – a 14/1 shot in the Round and Method of Victory odds. Check out those and all our other McGregor vs Khabib markets and remember you won’t get a better price anywhere on round betting. *For full terms and conditions visit our promotions page.